Exports of polypropylene and high-density polyethylene from the SOCAR Polymer project, implemented in Sumgayit Chemical Industrial Park, will increase exports of the non-oil sector of Azerbaijan by 16 percent. 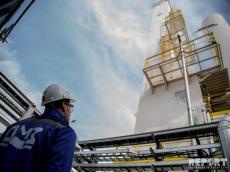 Director General of SOCAR Polymer Farid Jafarov stressed that SOCAR’s annual sales of polypropylene and high-density polyethylene plants will amount to about $ 350 million, adding that about 75-80 percent of products will be exported. He went on to add that Turkey is selected as a priority market, further saying that exports to Russian and European markets are planned. The SOCAR Polymer project includes a polypropylene plant with a capacity of 184,000 tons and a plant for the production of high-density polyethylene with a capacity of 120,000 tons per year. The opening of the polypropylene plant was held on July 18 this year with the participation of Azerbaijani President Ilham Aliyev and Italian President Sergio Mattarella. The plant for the production of high density polyethylene is planned to be commissioned in December of this year. The company includes three production associations, one oil refining and gas processing enterprise, an oil flotilla, a deep-water base plant, two trusts, one institute, and 23 structures. SOCAR established joint companies (including Georgia and Turkey), alliances, operating in various sectors of oil and gas spheres. It has representative offices in Georgia, the U.S., Turkey, Romania, Austria, Switzerland, Kazakhstan, Great Britain, Iran, Germany, Ukraine, Belgium and Canada.